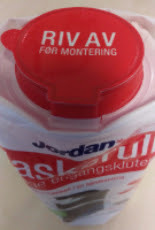 A custom designed machine has been built by PFM for leading Norwegian household and personal care specialist Lilleborg AS to produce refill packs used in a unique kitchen worktop dispenser, sold under its Jordan brand name. Lilleborg has designed the product for ease of use and to ensure that wet wipes retain their moisture for as long as possible after the pack is opened. 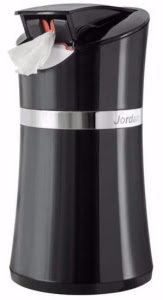 This involves a patented system of locking the refill within the dispenser via its closure, in turn demanding an advanced system of component handling within the PFM machine and strict standards of accuracy and seal quality. 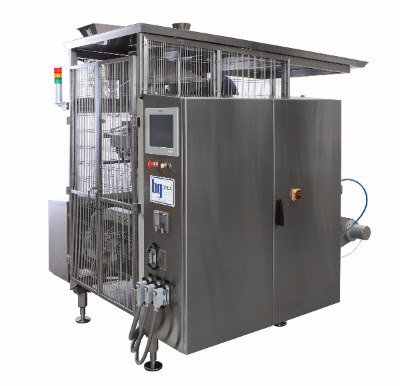 PFM has used its latest Vetta vertical form-fill-seal machine as the basis of the new unit, with product and cap feeding, sealing and machine controls purpose built and specially adapted to the product. In addition, the forming tube has been purpose designed for highly secure closure placement and to cater for a wide size tolerance in the wet wipe rolls themselves. The accuracy required in print register, and closure placement is achieved through multiple sensing units reporting to the controls and three-axis servo motor drive. Because of size variations in the rolls and their weight PFM has employed a system of positive product control, with a plunger to press rolls down against a minor restraining or ‘braking system’ and ensure consistently accurate positioning within the tube of film, without risk of jamming or free fall. The forming tube has been designed to produce a pack with minimum film dimensions whilst still allowing the closure to be fed and sealed to the inside of the film .